What motivates you to get up for the dawn service? MAIN PARADE: School children walked alongside the diggers in a sea of medals and flags at Hervey Bay's main Anzac Day parade. The veterans were applauded by the crowd of thousands as they entered Freedom Park just before 10am. Decorated Vietnam veteran Joel King said the day reminded him of the past veterans who gave their lives and wouldn't be forgotten. "It (war) had a toll on their minds," Mr King said. Mr King's grandfather fought in WWI and his father was a rat of Tobruk. Hervey Bay's main Anzac Day service 2016: Fraser Coast Anglican College student and winner of the 2016 Anzac Centenary Scholarship Kasthoory Jayankanth presents her touching speech. What is special about Anzac Day to you? Join the discussion and tell us below. Anzac Day march in Hervey Bay to Pialba's Freedom Park. WHAT'S OPEN: Who's trading on the Fraser Coast today? DAWN SERVICE: THE legend of the Anzac spirit lived on as thousands turned up to the dawn service in Hervey Bay to remember those who fought and continue to fight for our country. 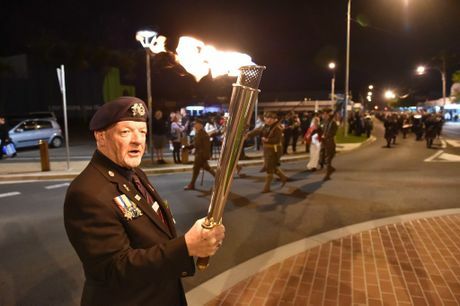 Crowds lined the streets to watch servicemen and women, their families and friends and members of the community march from the RSL to Freedom Park where the dawn service began just after 5.15am. The children of Kawungan State School sang a song dedicated to those who fought for our country before a prayer was read by a former student from Xavier Catholic College, Giorgia Kilpatrick, who won the Anzac Centenary scholarship. The touching prayer, dedicated to honour the Anzac's endurance and mateship, qualities we all still share today as Australians, set the tone for the service before the wreaths were laid by community leaders. The last post was played and a minute's silence before the final words, we will remember them. What motivates you to get up for the dawn service? : We ask what motivates you to get up for the dawn service on Anzac Day. 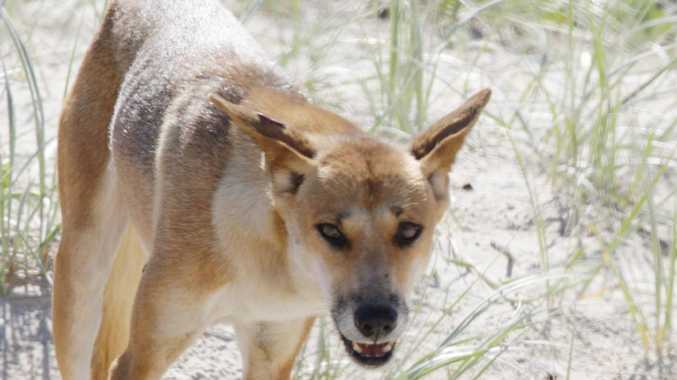 WHAT’S OPEN: Who’s trading on the Fraser Coast today?